Feb 25, 2019 Vintage Stationary Engines Wanted - Cash Paid We buy single engines or whole collections, deceased estates, downsizing sales. 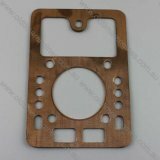 A new high quality Lister D copper head gasket, with copper sheeting both sides and copper fire ring. The inner material is made from non asbestos material. 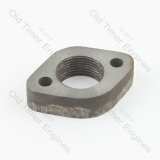 A good quality solid cast iron exhaust flange for Lister D & DK engines. 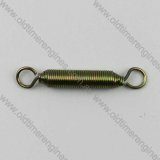 The thread is 1 Inch BSP female, to suit original or our reproduction 1” BSP exhaust pipes. The hole centres of the mounting holes are 2 inches. 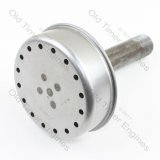 A good quality reproduction exhaust silencer for Lister D, DK and LD1 engines. These silencers have internal baffles for effective exhaust note silencing. A good quality reproduction exhaust silencer for Lister D and DK engines. These silencers have internal baffles for effective exhaust note silencing. Full paper gasket comprising of every paper gasket needed for a complete rebuild of the Lister D type engines. 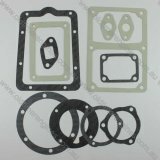 Does not include the copper head gasket which is available to purchase separately in our store. 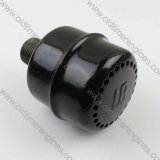 A new high quality reproduction Lister D governor spring made as per the original design. This governor spring will also suit many other small vintage stationary engines. 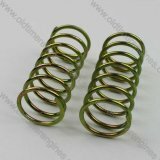 A quality pair of replacement valve springs for Lister D & DK type engines. 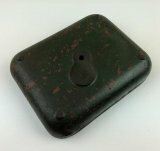 May also be suitable for other small vintage stationary engines, see sizes below. 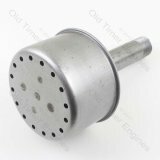 A high quality small stationary engine silencer that would suit a wide range of stationary engines requiring a 1' BSP thread exhaust. This muffler will fit engines such as Lister D, Buzzacott, Ronaldson & Tippett and many others. © 2013 - 2019 Old Timer Engines. All rights reserved.